Nevertheless, in March 1920, a Syrian congress held in Damascus rejected the Balfour Declaration and elected Faisal King of a united Syria which was to include Palestine. The French then deposed Faisal in July 1920, and he later became King of Iraq under a British mandate. At the allied conference at San Remo, in April 1920, at which the Allied Powers determined the fate of the former Turkish possessions, the Balfour Declaration was approved, and it was agreed that a mandate to Britain should be formally given by the League of Nations over the area which now comprises Israel, Jordan and the Golan Heights, which was to be called the “Mandate of Palestine”. 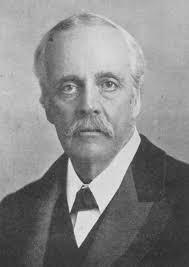 The Balfour Declaration was to apply to the whole of the mandated territory. The Treaty also contemplated an “appropriate Jewish agency” to represent the Jewish population and this was established as the elected Jewish authority in Palestine under the title of “the Jewish Agency”. Meanwhile, the Hashemite dynasty of Hussein of Mecca faced difficulties in Arabia. Between 1919 and 1925 King Ibn Sa’ud recovered his ancient family kingdom in Riyadh in central Arabia, defeated the Hashemites and annexed their kingdom of the Hejaz on the Western coast. The newly created Kingdom of Sa’udi Arabia opened its doors to the American oil companies and developed a close relationship with the United States. In 1923 the Golan Heights was ceded by Britain from Palestine to the French Mandate of Syria, in exchange for an adjacent region on what was to become the Lebanese border. area on the Lebanese border. In 1922 Trans-Jordan was separated from the Jewish national home. In 1946, the Kingdom of Trans-Jordan gained its independence, and Israel became independent in 1948. Between 1919 and 1923, some 40,000 Jews, mainly from Eastern Europe, arrived in Palestine. Many had been trained in agriculture in the European Zionist movements and established settlements of the type pioneered by the early arrivals, and on land purchased with funds raised by Jewish communities throughout the world.2 The dominant ideology was socialist, and this found expression in the development of unique social and economic enterprises, such as the Kibbutzim3, the Moshavim4 and the Histadrut.5 During this period malarial swamps were drained and converted to agricultural use, and national institutions such as an elected Jewish assembly and the Haganah voluntry defence force were established. Between 1924 and 1929, 82,000 Jews arrived, mainly as a result of anti-semitic outbreaks in Poland and Hungary, and at a time when the immigration quotas of the United States kept Jews out. This group contained many middle class families who moved to the growing towns, establishing small businesses and light industry. Of these approximately 23,000 left the country to escape the harsh economic conditions. Between 1929 and 1939, with the rise of Nazism in Germany, a new wave of some 250,000 immigrants arrived. Of these about 174,000 arrived between 1933 and 1936, after which the British imposed increasing restrictions on Jewish immigration. Many of those who fled from Germany as Nazi racial laws were introduced, were qualified professionals. Refugee architects introduced the “modern” style which characterised Tel Aviv as it rose from the sand dunes, and refugee musicians founded the Palestine Philharmonic Orchestra. The port at Haifa and its oil refineries were completed and new industrial development transformed the economy. The Jewish population in Palestine thus increased from about 85,000 in 1919 to 678,000 by 1946. uring the same period, the development of the country attracted substantial Arab immigration, and the Arab population doubled from about 600,000 to 1,269,000. In April 1920, during the British Military Occupation which preceded the Mandate, the Arabs of Palestine rioted in protest against Jewish settlement. In Jerusalem the riots took the form of violent attacks on the Jewish population. In Galilee, armed groups attacked Jewish settlers. On 1 May 1921 a Jewish Labour Day march was attacked and 47 Jews were killed. In August 1929 a dispute at the Western Wall6 in Jerusalem flared into riots which spread throughout the country. The Jewish community in Hebron (the burial place of Abraham, Isaac and Jacob) was wiped out. In all 133 Jews were killed and many hundreds were wounded. In December 1931 a Muslim Conference in Jerusalem attended by 22 countries denounced Zionism, and in 1933 a boycott of British and Zionist goods was proclaimed. In April 1936 the Arab political parties formed an Arab Higher Committee under the presidency of Haj Amin El Husseini, the Mufti  of Jerusalem and head of the influential Husseini clan. A general strike was proclaimed, which lasted for six months. Armed groups were again organised to attack Jewish settlements, and the violence developed into revolt against the British and a war against the Jews which became known as the “Great Uprising” of 1936-1939. In 1937, when the British outlawed the Arab Higher Committee, the Mufti fled from Palestine to Nazi Germany where he established close relations with the government. Here he endorsed and offered assistance in Hitler’s “final solution” of the Jewish problem. (See The Mufti in Berlin for the official record of a conversation with Adolf Hitler). The emergence of the economic centrality of oil in the 1920’s, and the discovery of vast oil fields in the Persian Gulf area, added a further crucial dimension to the strategic significance of the Middle East as a whole. From now on, the maintenance of an economic and military presence in the area became even more essential to British policy. This required both friendly relations with the Arab world and the maintenance of strategic bases in the Middle East. In Palestine this strategic necessity was translated by the Mandatory administration into a need to find a balance between maintaining good relations with the Arab world and at the same time continuing the Mandate on the basis of the Balfour Declaration. The British therefore responded to the Arab riots of 1921, 1929 and 1936-8 by instituting commissions of inquiry, holding Royal Commissions and issuing policy statements in the form of “White Papers”, which gradually and progressively closed the gates of Palestine to Jewish immigration and settlement. The 1922 Churchill White Paper limited immigration to the “economic absorptive capacity of the country”. The 1930 policy statement restricted the transfer of land to Jews. In 1937 the Royal Commission presided over by Lord Peel came to the conclusion that the Mandate was unworkable, and proposed a partition plan. The plan proposed that the cities of Tel Aviv, Jaffa and Jerusalem and the corridor between them (including the Arab towns of Lod and Ramle) should remain under British control, that the remaining area should be divided between Arab and Jewish states, and that Jewish immigration should be strictly limited. The Jewish reaction to the plan was ambivalent. The Arabs were strongly opposed and stepped up their revolt. The background negotiation was very complicated. The Hashemites claimed Syria (including Palestine and Lebanon) and Iraq as independent Arab Kingdoms. The allies had agreed that Britain would take mandates over Palestine and Iraq, and that France would have a mandate over Syria. Matters were resolved at meeting between Abdullah and the British in March 1921 in Cairo, at which it was agreed that Faisal would rule Iraq, and Abdullah would take Transjordan, both under British tutelage, and that Abdullah would receive a regular “subsidy”.
. In 1900 the World Zionist Organisation had created the Jewish National Fund which raised money for the purchase and development of land, mainly from blue coin boxes found in most Jewish homes. Plural of Moshav. Co-operative villages with varying degrees of communal ownership. The trade union movement, both protecting workers and actively engaged in large-scale industrial enterprise, for which capital could not otherwise be raised. The only remnant of the destroyed Jewish Temple. The official Muslim religious leader, as approved by the Mandatory authority.